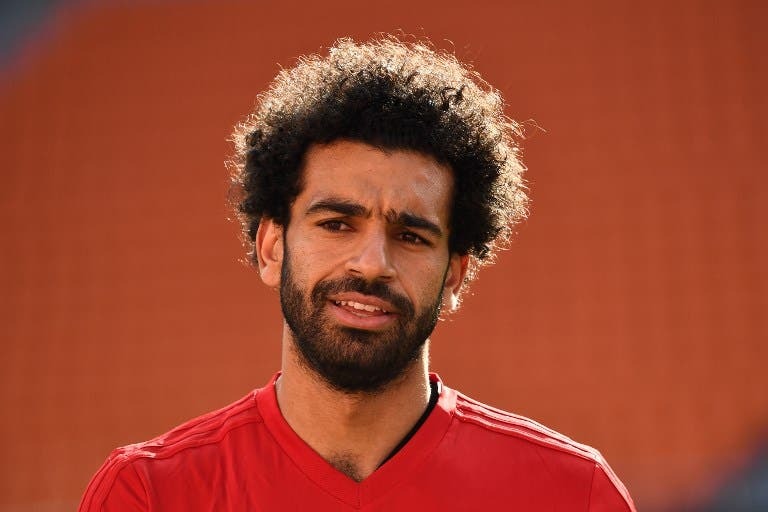 Mohamed Salah has returned to Liverpool for treatment after he limped off with an injury late in Egypt's 4-1 win over Swaziland on Friday, after he earlier scored a record-breaking goal for the Pharaohs. The Liverpool star scored directly from a corner kick just before half-time to make it 4-0, but later had to be removed in second-half stoppage time with an injury. Salah was injured in the 88th minute of the Africa Cup of Nations qualifier, and had to be treated on the sideline before he returned to the match. But the 26-year-old was unable to shake off the injury and was forced to withdraw from the game in stoppage time, with Egypt playing the rest of the match with 10 men having already used all three substitutions. The Pharaohs would still win the game easily, giving them two wins from three games in qualification thus far. And they have now confirmed that Salah has been permitted to return to England to receive treatment. "Javier Aguirre has decided to let Mohamed Salah return to his club and not participate in the Swaziland match on Tuesday to give him more rest," a statement posted on Facebook confirmed. "During the previous match against Swaziland, Salah complained of stress in the musculoskeletal muscle. He was examined medically and radiation was performed on the area of complaint after the game." By netting the audacious effort from the corner flag, Salah set a new Egyptian record with his 13th career goal in Africa Cup of Nations qualification, going one past previous record-holder Hossam Hassan. Overall, it was the 40th goal of Salah's Egypt career, putting the Liverpool star alone in third place among the African nation's all-time top scorers. Only Hassan El Shazly (44 goals) and Hassan (79) have now scored more Egypt goals than Salah. But of more immediate concern will be the Liverpool star's health status, with the Reds returning to action next Saturday against Huddersfield Town.